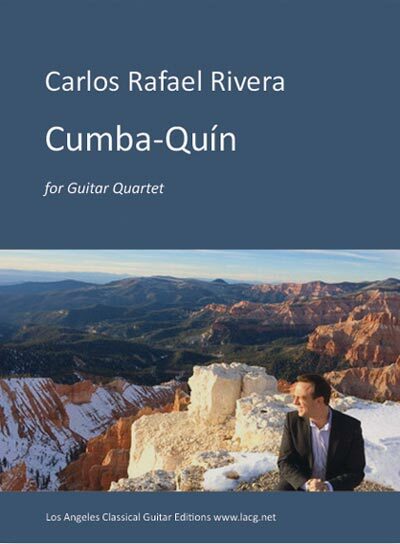 Carlos Rafael Rivera, Cumba-Quín on four Guitars. “Cumba-Quín” derives its onomatopoeic title from vocal imitation of the sounds produced by conga drums when playing against claves in Rumba style. This work is a result of a commission by the LAGQ for Sony Classical. Comes with Score and Parts.